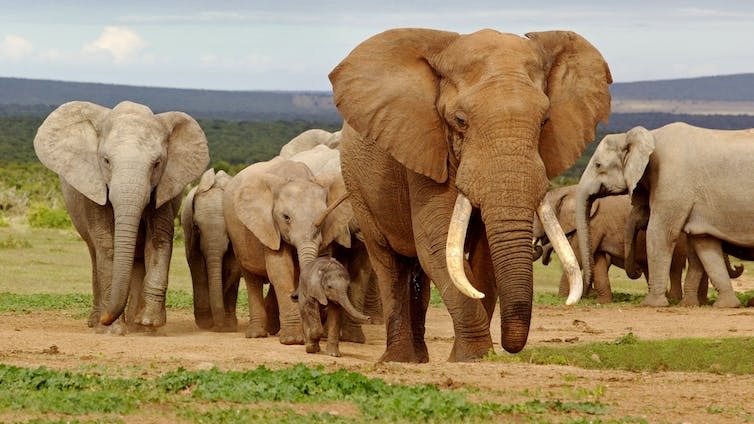 It can be easier to raise money to aid animals like these African elephants than species that are more threatened with extinction but get humans less excited. The Earth is home to millions of species, but you wouldn’t know it from the media’s obsession with only a few dozen animals like tigers and gorillas. This narrow focus makes the most of popular fascination with large and cute creatures. Conservationists take advantage of these nonhuman celebrities to raise awareness about important issues and to seek donations to help save endangered animals. Given the multi-billion-dollar funding shortfall for nature conservation, public support is crucial. Very popular species attract the most wildlife conservation funding. 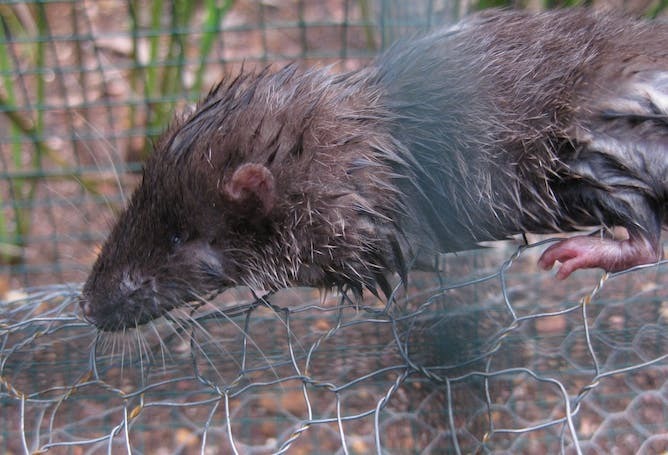 But what about the Nimba otter shrew, the Cuban greater funnel-eared bat or other threatened yet obscure species? And don’t all imperiled green spaces, not just the homes of snow leopards and orangutans, deserve attention? 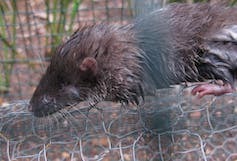 Mining activities have destroyed parts of the Nimba otter shrew’s habitat. Conventional wisdom counsels sticking with the old approach to fundraising, and conservationists tend to see animals like bats and snakes as lost causes. As conservation scientists, we wanted to discover whether marketing could perhaps rescue these species. If companies can successfully sell mops and other humdrum products, why can’t conservationists raise money to save the unglamorous giant golden mole – even if it looks like a small cushion with a nose poking out of it? We sought the answer to this question by measuring the links between marketing efforts and conservation fundraising success. 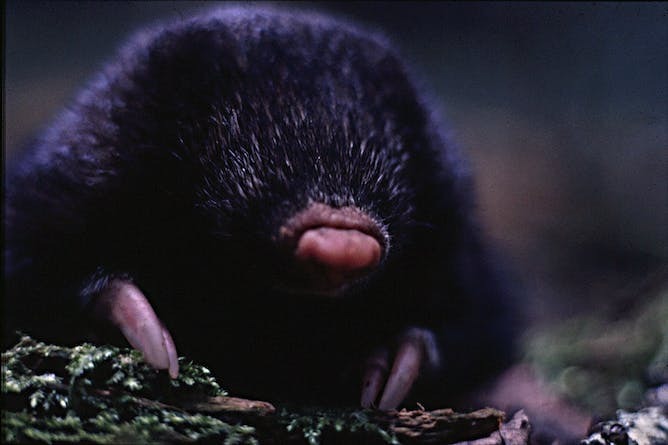 Who will save the giant golden mole? Our recently published study contrasted online fundraising campaigns by two conservation charities: World Wildlife Fund-US (WWF-US) and the Zoological Society of London (ZSL), through its EDGE of Existence program. These campaigns are very different. WWF-US raises money for a broad set of projects, addressing global issues from climate change and illegal wildlife trade to forest and ocean conservation. The EDGE campaign we analyzed focuses on saving 100 threatened mammal species. Given these contrasting approaches, we wanted to see if and when marketing makes a difference. To do this we also had to account for whether the species used for fundraising mattered. This involved measuring an animal’s “appeal,” which depends on lots of factors, such as whether it is cute, large or famous. To see which animals were the most appealing, we showed 850 conservation supporters a random selection of the animal photos featured on the WWF-US and EDGE websites and asked these volunteers to rank the photos. Let’s first consider WWF-US, which raises money through animal “adoptions.” When people donate, they signal their support for the well-known species. In return they get a stuffed toy, photos of the animals and adoption certificates. But the money WWF-US raised funds projects that benefit more than just the “adopted” animals. We found two factors influenced WWF-US donors’ choices: the animals’ appeal and the degree of the threat of their extinction. Marketing efforts played no role. No matter how they were described or presented, the most appealing species always drew more donations. This was probably because people already knew and liked them. The EDGE program raises money in a different way. It supports some universally familiar animals, like the Asian elephant, but many of the species it helps are less appealing to humans, including a variety of rats and bats. Each of these species is shown on their website, so people can click on a link to find out more and then donate. We found that while people were generally more interested in donating to appealing species, the amount of marketing also made a difference. The animals EDGE actively promoted fared better with potential donors – including some homely ones. Similarly, pitches for the species shown higher up on EDGE’s site got more donors interested in funding the animals’ conservation. EDGE’s track record suggests that using marketing techniques to raise money for wildlife conservation could increase donations aimed at helping less popular species. To estimate the difference that marketing could make in this regard, we created a mathematical model based on our analysis of the EDGE data. This is an equation that predicts donations based on a species’ appeal (which is fixed) and whether it was promoted by EDGE or shown high up on the website (which we could vary). Partnering with an EDGE staff member, we then modeled different fundraising scenarios for the 10 most appealing and 10 least appealing animals, as rated by our conservation volunteers. With no marketing effort, our model predicted that the most appealing species would raise 10 times more money than the least appealing animals. This was in line with what we expected and supported the WWF-US strategy. However, things changed when we modeled the impact from EDGE’s marketing efforts. If the group highlighted the least appealing species by making them prominent on its website, our model predicted a 26-fold increase in donations for those specific animals. This suggests that charities could raise conservation funds for species like bats and rodents, if they tried hard enough. Our findings indicate that conservationists have more options than they may realize to raise money to aid wildlife. When can marketing boost donations? But when should they fundraise for more obscure species? The answer depends on how threatened the animal is, how much help it already gets, the cost of saving it and the chances of the project succeeding. When conservationists focus only on saving elephants, rhinos or other popular species, they often overlook these considerations. That doesn’t mean WWF-US should end its focus on familiar animals. Since the money it raises funds broad projects that benefit more than just the “adopted” animals, catering to widespread fixations with particular species makes sense. To be sure, our research did not measure whether marketing efforts pay off by increasing donations overall. But including more kinds of species in a campaign may boost donations – especially for endangered frogs and tarantulas or other underappreciated animals – and even plants. It might also increase the total number of species in the public eye, highlighting the many ways everyone can help save wildlife. Conservationists often complain animals that are important to save can get ignored. Our results suggest that they should stop complaining and start marketing. The graphic containing endangered animals in this article that was originally published on June 21, 2017 was corrected on July 5, 2017. The new version contains the top five animals for EDGE’s fundraising. The old version misidentified and featured the other five in the group’s top 10. Climate change is not something that will just go away. It is already affecting global biodiversity, food security and human migration, and the situation is not expected to improve soon. Rising temperatures and regular extreme events will produce new selection pressures. These will force many species to move to find more suitable conditions, or adapt. Their ability to respond to these pressures will depend on the rate and extent of change, their ability to adapt to new conditions or their ability to move away. Understanding how biodiversity responds to climate change requires an interdisciplinary perspective, combining ecological, molecular and environmental approaches. As part of our work to establish a new way of studying biodiversity, we developed an integrated framework to help guide conservation efforts by identifying wildlife populations under threat from climate change. We assign levels of risk to populations based on their exposure to changing climate conditions, their sensitivity due to genetic variation and their ability to alter their range (range shift potential). How we identify groups that are at risk. We show how our approach can be applied in a bat species, the grey long-eared bat, Plecotus austriacus. This bat is one of the rarest mammals in the UK, with a population estimated at less than 1,000 individuals. This bat has also been in decline across Europe. Our previous work showed that its geographic distribution is limited by climate, and current patterns of genetic variation were shaped by changes to the climate. We collected wing biopsy samples for genetic analysis from eight populations in the Iberian Peninsula and two populations in England – the southern and northern edges of their range. We used ecological modelling and climate data to look at where changes are likely to be most extreme. And to identify climate-driven genetic adaptations we looked at genomic data. This allowed us to assess which populations are likely to be most sensitive to the effects of climate change. Finally, we use a combination of genetic and geographic data to predict the ability of populations to track suitable conditions in the future. 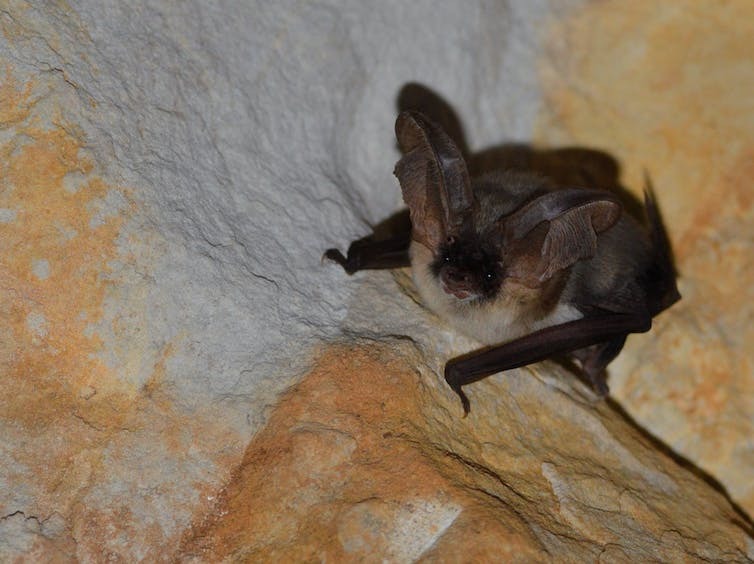 We show that while conditions in the UK could actually improve for the bat, populations in southern Europe that hold the key to the survival of the species as a whole could be devastated. We identified those likely to be most sensitive to future changes because they do not contain enough climate-adaptive variation. We also looked at landscape connectivity to show populations that will become isolated in the future. As the suitability of the environmental changes, the movement of individuals will be affected. This will limit the ability of populations to move to more suitable areas, and limit the chances of spreading adaptive genetic variation into populations that are at risk. 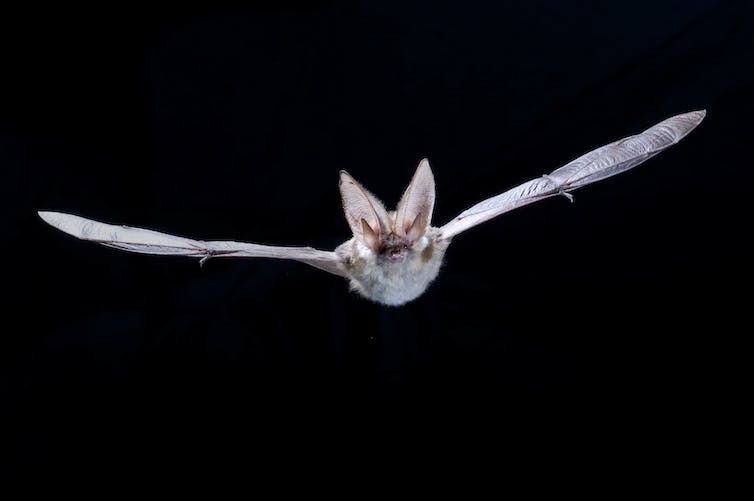 A grey long eared bat in France. We identified one population, along the eastern coast of Spain, as being high risk. It will be exposed to high changes in the suitability of the climate, has a low levels of climate-adaptive genetic variation and will experience limited landscape connectivity. We identified two other populations in the central regions of Spain that are medium-high risk. Despite high exposure to changes and limited connectivity, they have a higher frequency of adaptive genetic variation. In contrast, populations along the Atlantic coast of the peninsula and in the UK are at lower risk from climate change, because they will experience less change in the suitability of the climate, and keep higher landscape connectivity. Assigning levels of threat to populations can help us to set conservation priorities. Conservation management can focus on rescuing high risk populations. This could be by moving of the population to more suitable areas, or moving individuals with the right adaptive variation into the population. But such intense management is likely to be costly and irrelevant when considering the number of species likely to be in need of these measures. Alternatively, we could focus on reducing threats to medium and medium-high risk populations by increasing landscape connectivity, this would allow range shifts and the spread of adaptive genetic variation. Long-lived, slow-reproducing species with smaller population sizes are unlikely to adapt to climate change fast enough by spreading new mutations. They will depend on the spread of adaptive genetic variation caused by the movement of individuals between groups. Therefore a better understanding of movement processes and landscape connectivity is needed for predicting population persistence under climate change. The framework we developed can be widely applied to other population groups and ecological systems to help decide how to focus conservation efforts to help species survive.